The advertisements highlight the Master of Computer Science in Data Science (MCS-DS) Track offered by Illinois Computer Science and the Master of Business Administration (iMBA) from the Gies College of Business, two of the degree programs offered by the University of Illinois through Coursera's online platform. Illinois also offers the Master of Computer Science (MCS), which launched last spring, and the Master of Science in Accountancy (iMSA). Nearly 700 students from across the globe are currently enrolled in the Online MCS and the MCS-DS Track, which provide flexible options for students at a fraction of the cost of traditional degree programs. Tuition is only $19,200 for a complete 32 credit hour degree. “Getting my degree from the University of Illinois is something I’m very proud of. Life just marches on, and if you don't take the steps and move forward the way you want to move forward, you're just never going to do it,” says Kara Anderson, a graduate of the iMBA program who shares her story in two of the advertisements. The University of Illinois is proud to partner with Coursera to democratize access to affordable, high-quality courses and degrees 100% online. 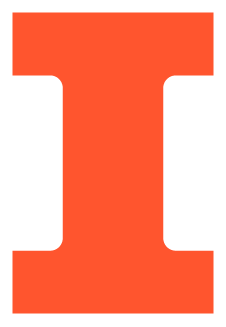 You can learn more about Illinois learning programs on Coursera here.